Great week of fishing in Fort Lauderdale. Over this past week, there have been some great catches of dolphin, sailfish, a few wahoos, sharks and some big fish off the bottom. 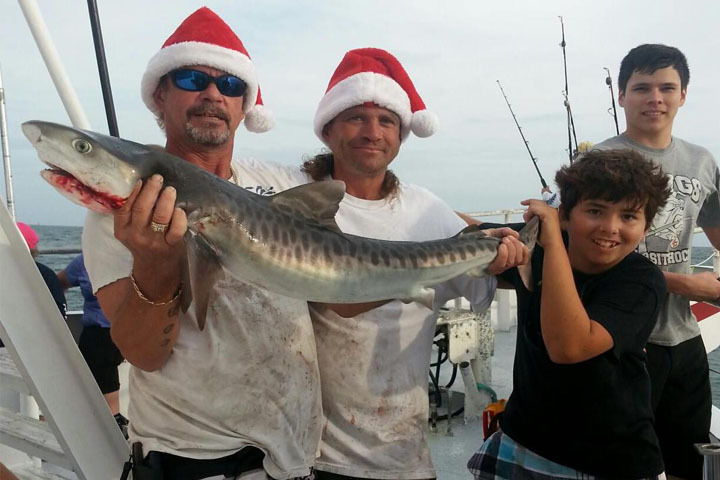 Our drift fishing trips are getting into all the different kinds of snappers… yellowtails, mangroves and mutton snappers as well as a grouper every now and then and the oddball cobia, tuna or mahi-mahi. Kingfish are also out there and biting for those anglers who fish a surface or mid-depth bait. Kingfish like the morning bite, so if you’re fishing the drift boat and want to catch something bigger, do the morning trip. If you’re going for action, the afternoon and night trips are the best. Sportfishing charters are coming in with some great catches too. 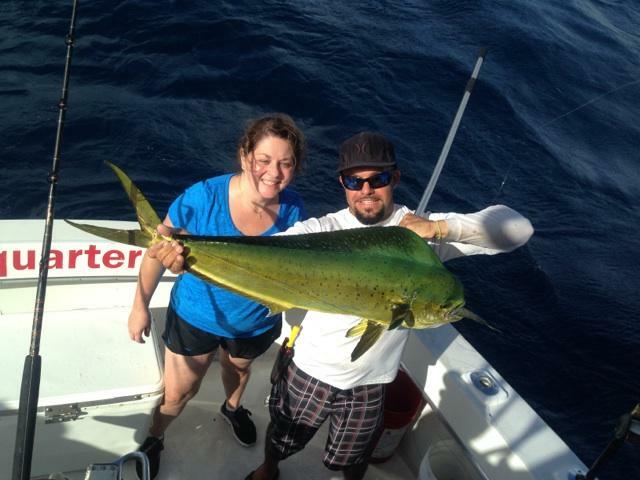 Mahi-mahi are biting very good on certain days. 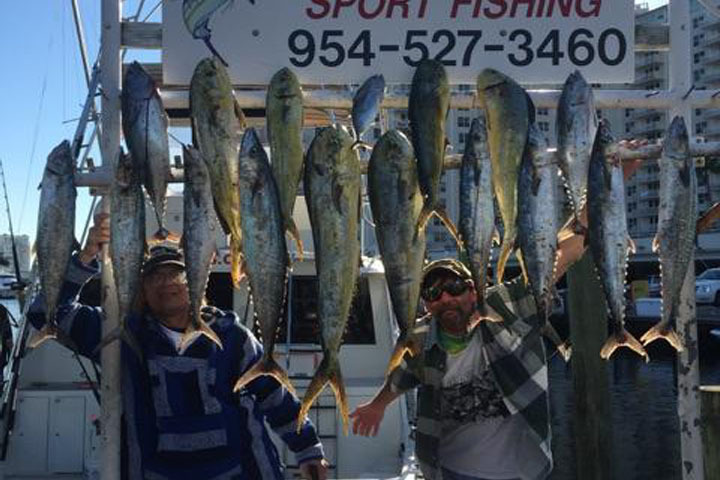 Kingfish, wahoo and blackfin tunas are also biting good on the reefs. Trolling is such a great method of fishing because we can effectively target all these species with the same technique. Trolling is also great because we can cover a lot of territory to look for where the fish are most concentrated. Sailfish is the other special on the menu this month. 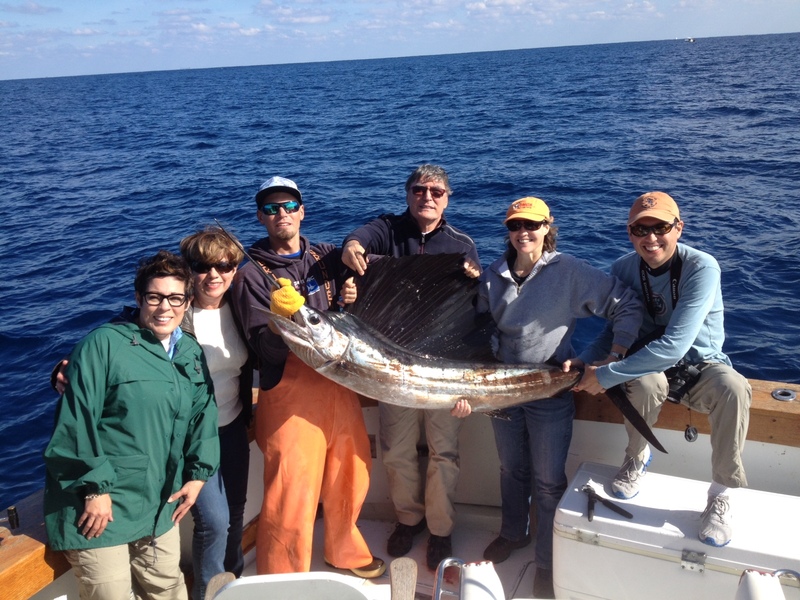 December and January are the top months for catching sailfish in South Florida. While trolling is also effective for catching sailfish, kite fishing is the preferred method to get a hook up on these elusive gamefish. Kite fishing involves presenting live baits using high flying kites, suspending the baits so they are left splashing on the top of the water. The stiff winter winds and availability of sailfish and larger dolphin fish, make kite fishing one of our optimal methods to target big game this time of year. What a terrible week for weather and what a spectacular week for fishing. Stormy skies and rough seas made the fishing difficult for us this week, but those brave anglers who went out there had some of the best fishing action we’ve had in Fort Lauderdale for some time. The strong east winds are blowing the dolphin in close, all the way into as shallow as 80ft of water. Even our drift fishing trips are catching them. Lots of nice, gaffer sized dolphins are scattered and biting good on the reef. Lately, it’s seemed, the rougher the ocean the better the fishing. Fish get active when the wind starts howling and the waves pick up. Sailfish action is great too. 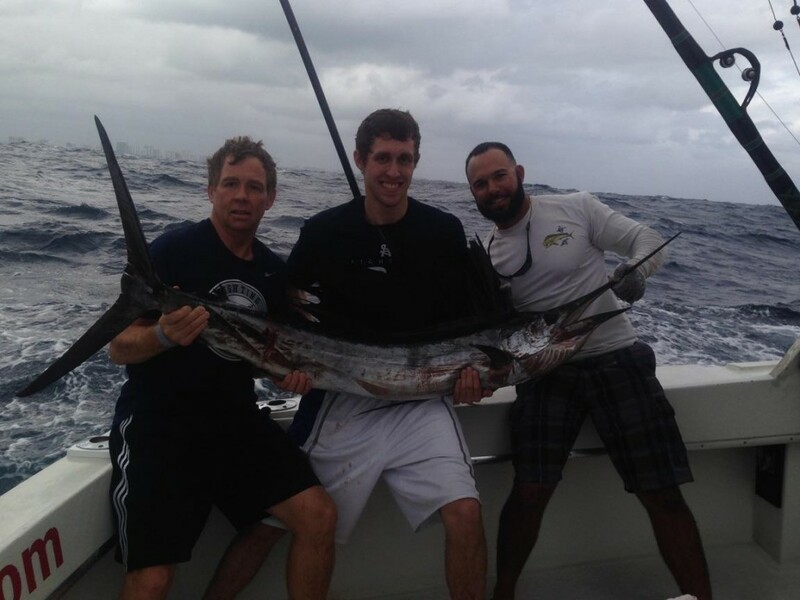 This is our prime month of fishing for sailfish and these conditions are great for it. Kite fishing, a technique that involves flying kites and dangling live baits from the kite so that the baits are suspended and splashing on the surface, requires a stiff wind. This method, which is spectacular to see because you can watch the entire bite sequence happening on the surface, is the best way to target sailfish, bigger dolphin and other surface feeding gamefish. 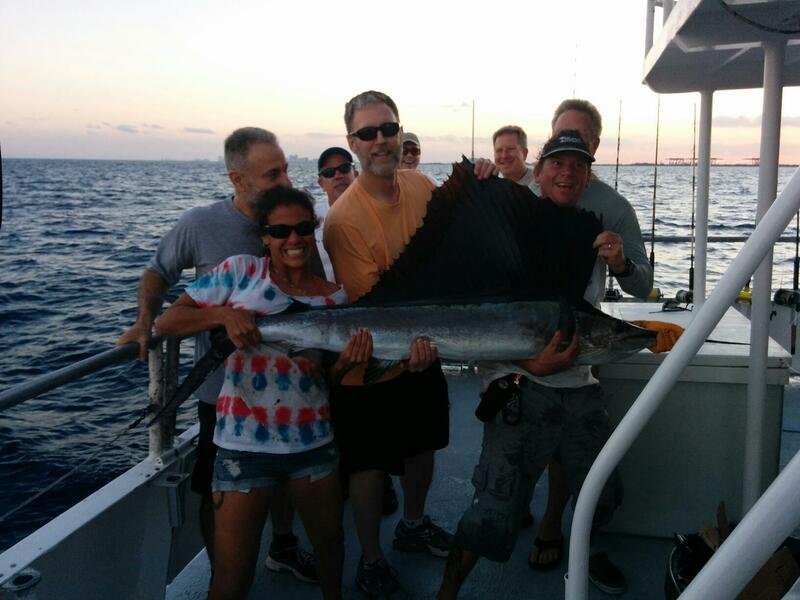 Our sportfishing charters this week have caught sailfish more often than not, with some charters coming in with multiple sailfish. The next cold front that moves through may be the best sailfish bite we’ll have all year.